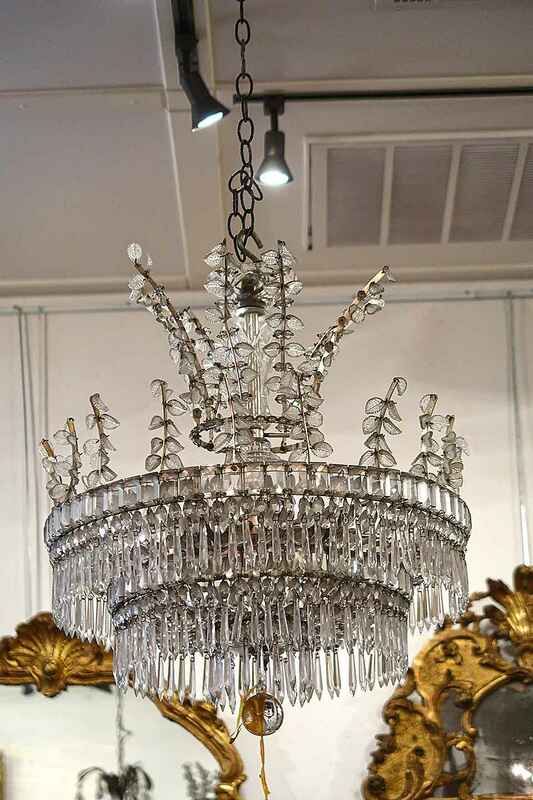 1940S FRENCH IRON AND CRYSTAL SIX-LIGHT CHANDELIER. 1940S FRENCH IRON AND CRYSTAL SIX-LIGHT CHANDELIER. H 23" DIAMETER 21"